Something vapid has no substance, no excitement; it's boring and stale. Think of sipping on a flat Coke or a glass of stale wine: the flavor is missing, and so is the enjoyment. 1. Something j_j__e is not important, not interesting, and not exciting. 2. Something pa___d is pale and looks sickly, or it has no sparkle, no strength, no liveliness. 3. Something non______pt is hard to describe because it's not interesting: it has no features that stand out, no color, no life. Vapid things and people remind you of a flat, tasteless drink, because they're dull and boring, with no liveliness and no significance. 1. Right before a noun, as in "a vapid thing" or "a vapid person." Maybe because the sound and meaning are so similar to the word "stupid," our word "vapid" carries a harsh, negative tone. Use it with care as you talk about vapid food and drinks and flavors, vapid people and personalities, vapid faces and smiles and expressions, vapid comments and conversation, vapid titles and taglines, vapid themes and thoughts and sentiments, vapid writing and stories and dialogue, vapid consumerism and consumption, vapid entertainment, etc. Don't order their "Creamy Pub Mac and Cheese;" the sauce is thin and vapid. A few years ago I resolved to stop clicking on vapid articles, you know, the ones with titles like "21 Celebrities Who Got Outrageous Plastic Surgery." Look away from the screen to explain the definition in your own words. You’ll know you understand what "vapid" means when you can explain it without saying "insipid" or "uninspiring." Fill in the blanks: "I'm not a fan of _____; I find the _____ vapid." Example: "I'm not a fan of crime dramas; I find the storylines vapid." Designed by Mac Gerdts, this game has players competing for power during the glory days of Europe. 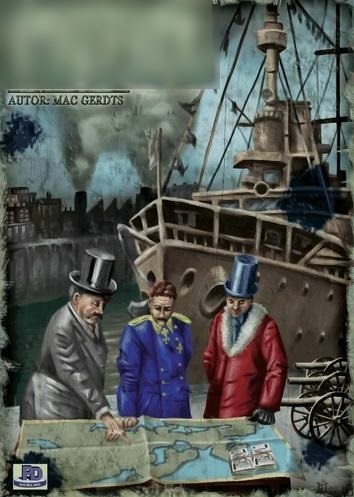 Board Game Geek reports that the winner is "he who succeeds in increasing his capital and gaining influence in the most powerful European nations." 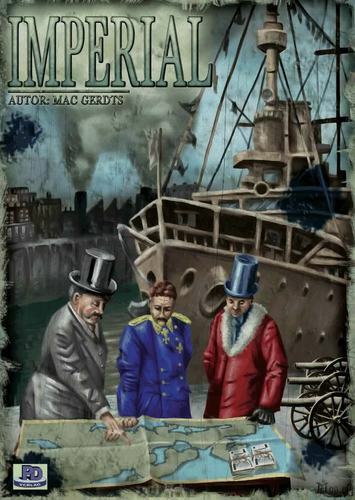 The game's title means "related to an emperor or an empire; authoritative and commanding like an emperor; or grand, magnificent, and fine, as if made for an emperor." It's pictured below, with the title blurred out. What game is this? Answer: Imperial. 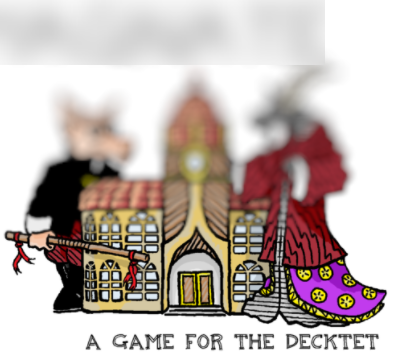 Check out the game here and the word here. Designed by Cristyn Magnus, this game has players taking on the role of merchants, competing to develop the local community and buy their way into the nobility. The game's title means "a person who is very important and distinguished, usually in the world of business." It's pictured below, with the title blurred out. What game is this? 2. Unless you count its vapidity, there's nothing _____ about the show Peppa Pig.